Marti Hines is the co-founder of Wanderluxxe, which has produced high profile events for companies like Hyatt Hotel in the past. Currently Wanderluxxe is collaborating with Sundance Films for their special events. While planning the hottest packages for Sundance attendees through Wanderluxxe, Marti is also gearing up for an amazon.com premiere of her first feature “dieExpats” which she co-produced and directed, alongside partner Jasmine Green for their production company DPic. The film follows the story of four people in search of reclaiming a sense of self while navigating life as expats in Berlin, and is based on their own experiences. We’re always thrilled to support female CEO’s and filmmakers! Having these women take charge and move forward with great storytelling is priceless. Which is why we decided to sit down chat with them. Who knows, they could be the next front runners of the Independent Spirit Awards for 2019. PPLA: When did you first know you wanted to direct/produce? Martin Hines: We have always been obsessed with Film and TV. Growing up we loved shows like A Different World, and movies like Eve’s Bayou where we saw a representation of people of color. We wanted to add to the dialogue, to contribute to the amazing stories and voices we as black women have, and saw directing and producing as a way to do this. PPLA: What are some of the challenges you’ve faced as female/minorities in the industry? Martin + Jasmin: The industry either thinks we (African Americans) are a risk or wants to control the stories we tell. For example, when working to get another feature film produced we had several execs tell us that black stories don’t sell overseas…fast forward to spending significant time abroad(Jasmin lives in Berlin) and every black movie that comes out in the states is always sold out in Berlin, they LOVE black culture. That’s just the minority side of it, being a woman, well, with all the harassment cases coming out, you can only imagine how hard it is. PPLA: What inspired your debut film Die Expats and what were the advantages/challenges of filming in Berlin? Jasmin: I had just moved to Berlin from NYC. Being an expat is filled with many emotions. It’s terrifying, exciting, fun, isolating, etc. In these modern times many people are taking the leap to experience a different culture for a significant amount of time. We both know many friends who have lived or studied abroad. Writing about this experience was the inspiration behind the film. Berlin is a unique city. It’s super creative and artsy, literally almost everyone is in a creative field there, its an amazing place for inspiration. It also looks very unique and feels as if it is its own Utopia not even in Germany. Our biggest challenge s being in unfamiliar territory. Not knowing the language, the landscape, having an extensive network, these were all things that wouldn’t have been an issue had we filmed in LA or NYC, where we are from. PPLA: Where can we see your film? Marti: You can see the film on Amazon in March. PPLA: What’s next for your company? Jasmin + Marti: We are excited to be shooting our next feature, Paper Friends, in NYC this March. PPLA: Any advice for other aspiring filmmakers? Marti: Don’t let anyone tell you its impossible. A.No is not the end of your career. B. It just means try another route. If you believe in yourself and put in the work, anything is possible. 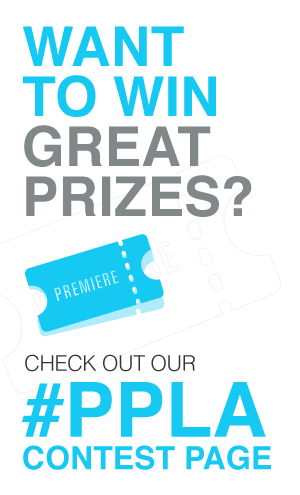 PPLA: What places/things about LA inspire your work? Martin: LA is such a great inspiration when bringing a story to life from going on a hike in Runyon Canyon to wandering around the Malibu Country Mart you can’t help but feel inspired to create and capture these beautiful moments.